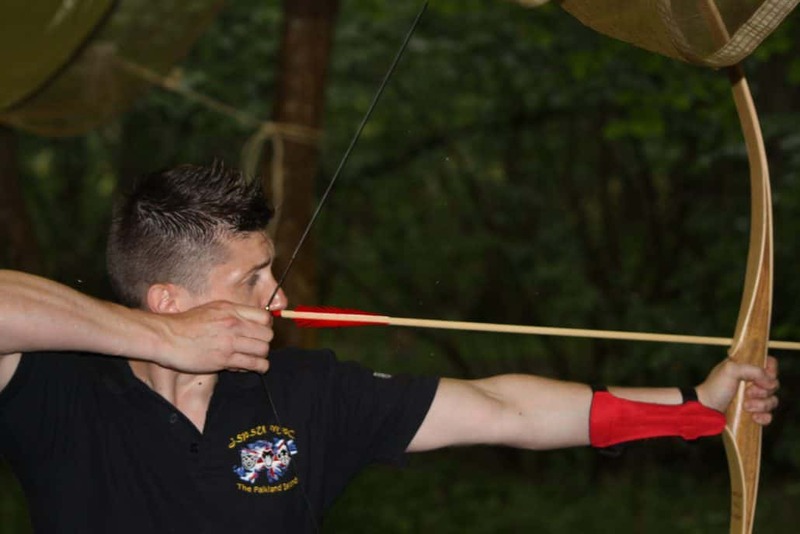 If you have ever fancied unleashing your inner Robin Hood, why not try our one day deer and archery course where you can really get to grips with the basics of bow shooting. If you mainly associate the longbow that we know today with Sherwood Forest, you may be surprised to learn that it has been around from as early as the Neolithic times. Although it is thought to have made its first major appearance towards the end of the Middle Ages. The longbow completely dominated medieval combat. During the Hundred Years War, the longbow was used by the English with a devastating effect and a similar result was experienced during The Battle of Sluys in 1340, which saw English archers discharge a shocking longbow attack on French ships. The land Battle of Poitiers in 1356 saw the longbow responsible for the deaths of 2,000 French mounted knights. In 1346 at the Battle of Crecy, English archers completely devastated the French whose loses included 11 princes, 1,200 knights and 30,000 soldiers. In comparison the English lost 100 men. This one battle is often used as a popular example to demonstrate just how effective the longbow was as a weapon. At Wildway Bushcraft we promise that we won’t be sending you out to battle with your longbow! But with coaching from our experienced instructors, you will be able to see your shot improve as the day goes on and by the end of the course you will be able to hit the target consistently and accurately. Historically, the longbow was held in such high regard that the kings of England sponsored archery tournaments and banned all sports on a Sunday, except for archery. This meant that there was always a large group of experienced archers ready to be called up for battle, if England needed them. It was even enforced by law that each English shire had to provide the king with a certain number of trained archers. An experienced archer could shoot an arrow every five seconds, so a large army of skilled archers was an asset in any battle. The longbow was about six feet long and made from a yew tree, although a shortage of yew trees saw elm, ash and wych elm being used instead. The arrows were made out of ash, birch or oak and were about three feet long with broad tips able to pierce a knight’s armour. If you want to improve your skills with using a longbow, our Deer and Archery course is a great experience and a lot of fun. The course is not just about shooting, as you will also have the chance to skin and butcher a deer before cooking all the best steak cuts for a delicious venison meal. If that has wet your appetite come along and join us in the woods.